Gemmy Replacement 900mA adapter with 7/32 dia connector, 3/8 long! This was used with early Gemmy small inflatables, where the adapter cord, plugs into front of the fan. 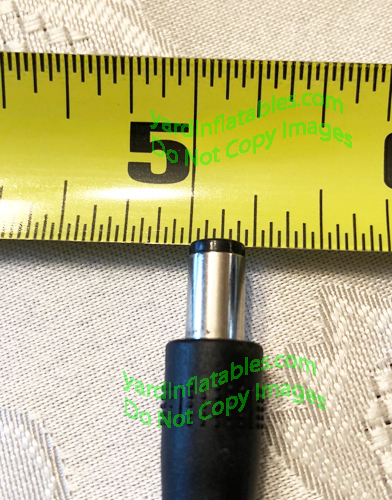 There was a smaller connector made also. 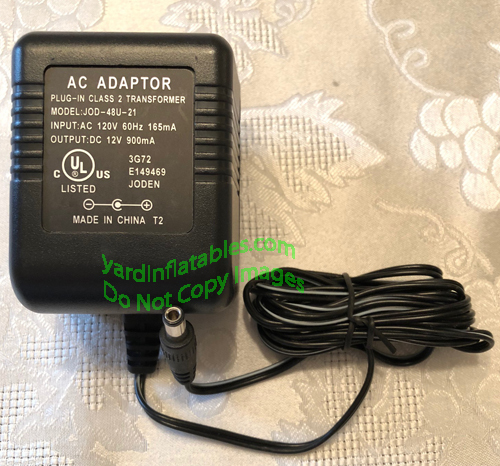 It is Up to you to check the specifications on your fan/adapter/connector, to see if it matches ! There will be no returns if this does not fit your fan!! In order for all our customers to have a chance of getting their inflatables running again this year, we are limiting these to 4 per household or customer. We are trying to be fair and give everyone a chance. Thanks in advance for your understanding.